Port Moody, get ready to meet Sutherland. The boutique collection of heritage-inspired townhomes will go on sale on Saturday, September 17th, and developer Trillium Projects is already seeing strong interest from those eager to own in the city’s growing Moody Centre neighbourhood. Just 12 homes will be available at Sutherland, and all will be expansive, ranging in size from 1,221 to 1,579 square feet. Three- and four-bedroom residences will be available, and Trillium Projects has emphasized that they were designed with families in mind — in addition to being incredibly spacious, homes will have gated private yards and two-car garages. The Moody Centre neighbourhood itself is also perfect for families. It’s home to rec centres, and is close to plenty of parks with hiking and bike trails. Sutherland is also only blocks from primary and secondary schools, and isn’t far from shopping and restaurants at popular Suter Brook Village and Newport Village. There are plenty of options for venturing further afield as well. Sutherland offers easy access to downtown Vancouver via the West Coast Express, and a station on the future Evergreen SkyTrain line will be just two blocks from the development. Highway connections are also within close reach, meaning that all corners of the Lower Mainland are in grasp. It won’t be long until sales begin at Sutherland, and Trillium Projects is recommending that interested buyers click here to register for updates. An exclusive advance preview package will be sent out prior to September 17th, and it will include further details on floor plans and features. 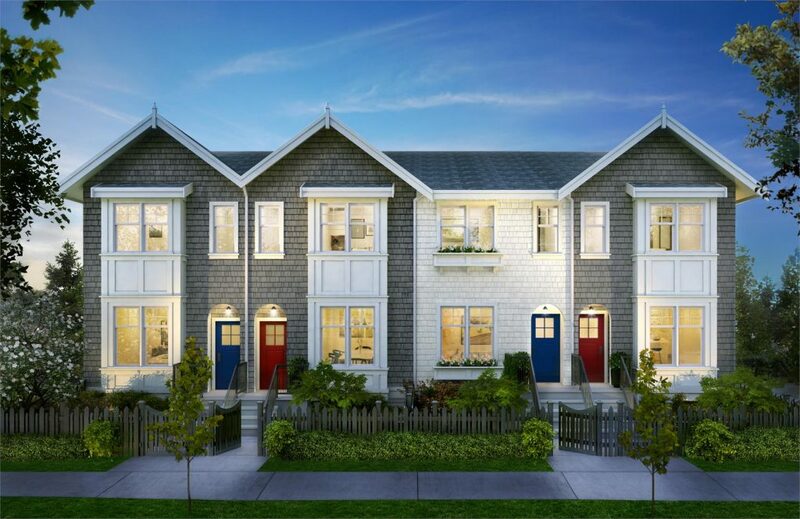 For more information call 604 889 0873, email info@sutherlandtownhomes.com or visit the website here.